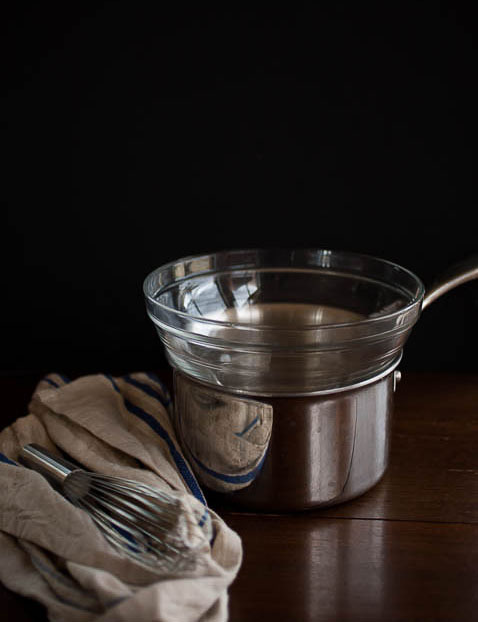 So I’ve used double boilers several times on this blog (like the chocolate ganache blog).Though a double boiler is a specialty item that can be super expensive, there are times when you really do need one to get a certain dish to turn out well. Thankfully, you don’t need to buy something will take up space—all you need you probably have in your kitchen already! On another note, I’ve had to retype the word “boiler” every time it’s appeared so far because I keep spelling it “boilder”. The heat source doesn’t touch the bottom of the top pot, which is called indirect heating. It’s the simmering water and steam in the bottom pot that creates just enough heat to gently cook the food in the top pot. So, going back, what’s the point? Certain foods need to be gently heated, otherwise it may burn, curdle, or cook too quickly. 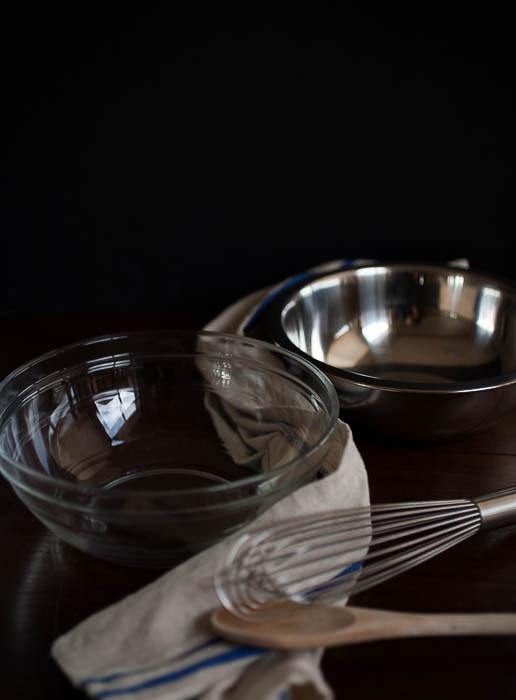 This is true for melting chocolate for tempering and delicate egg-based dishes like sabayon. There are even some people who use a double boiler to make fluffy, creamy scrambled eggs. To be fair, the top won’t be as steady as an already-made boiler you will buy at the store. However, I usually don’t have a problem with it. If the top pot/bowl does move a bit, just have to be careful about holding the top bowl with a heat-safe something (like an oven mitt). Also, watch out for steam that may come out of the sides. As I said above, watch out for movement and steam when you’re using a bowl. When you stir, the bowl will move, so I usually use an oven mitt to protect my hand from the hot bowl and my wrist from steam. Make sure your water is simmering, not boiling. 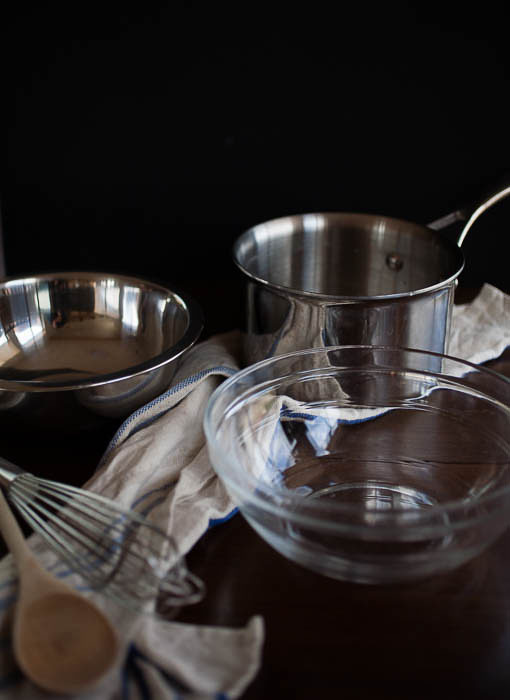 You want low heat to ensure the water stays as a simmer and doesn’t get too hot. Start at low to medium-low heat. 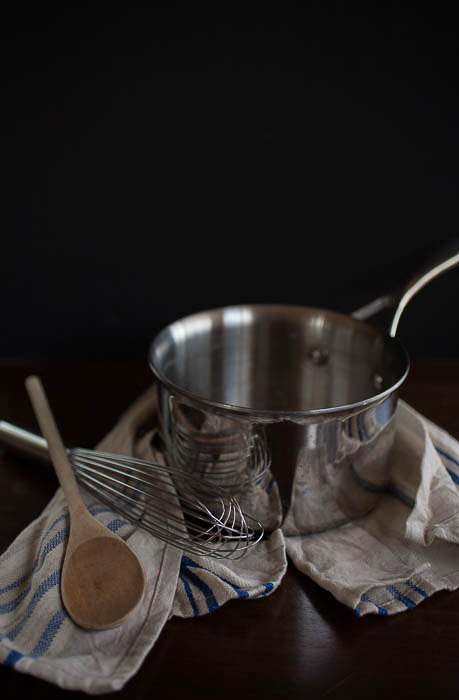 So, next time you see a recipe that calls for a double boiler, don’t skip it! Just make your own at home! Some delicious recipes are coming your way soon, too—I’m excited for summer and all the fresh produce!